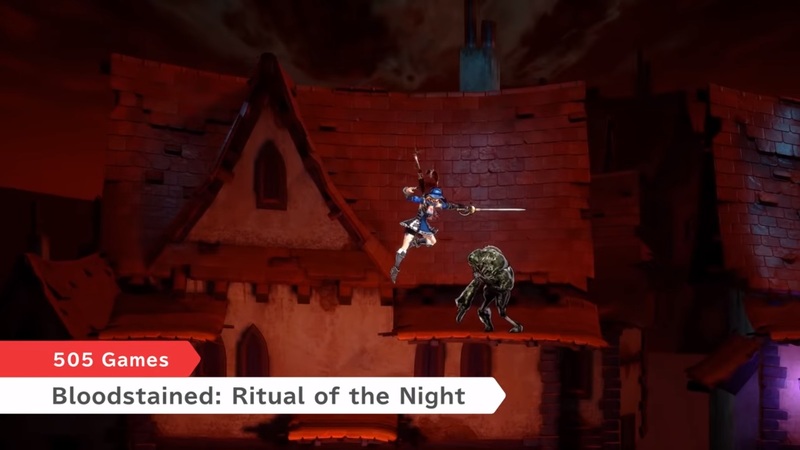 Bloodstained: Ritual of the Night will be released in summer 2019. We are months away from that and the game is being finished and refined as we speak. 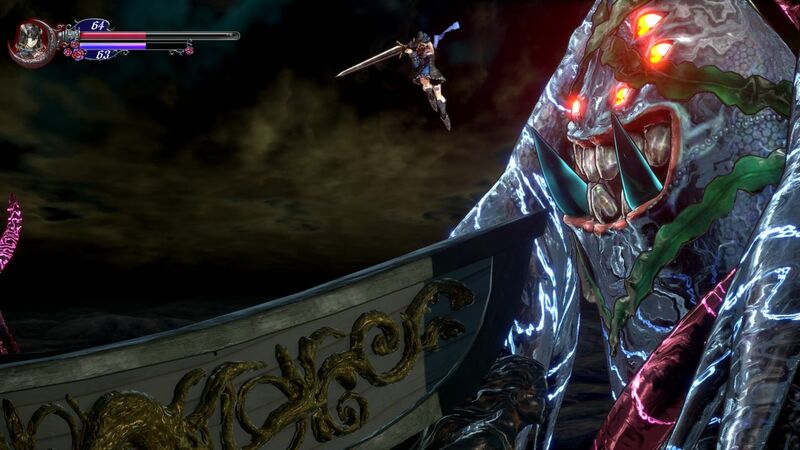 Bloodstained was promised to be IGA's biggest game overall, and that does not seem to be a lie, considering how much we know about the game already and how much we still need to know. Taking a look at my thread "TRIVIA: All Bloodstained "things" so far" i noticed that the comparison of certain information that we already have about the game, with other Igavania games, gives us a interesting perspective about how long the game will last. Gear (Head, Body, Acessory, Scarf): 39. Items (Potons, Food, Crafting and Cooking, Others, Unknown): 69. Powers (Shards and Techniques): 44. Game size: Unknown. 10 locations confirmed so far (Ghaleon Minerva, Arvantville, Entrance, Garden of Silence, a Japanese area with no official name, Clock-Tower-like region, Golden-staircases region, Church of Dian Cecht, Lava Cavern region, Library region). 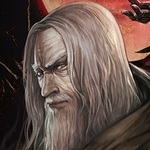 Game confirmed to have at least 1600+ rooms or almost 2x Symphony of the Night. Gear (Armor, Cloaks, Sheld, Head Gear, Accessories): 99. Game size: Two castles. 33 locations. 1890 rooms. Game size: One castle. 12 locations. 1023 rooms. That leads us, first, to some impressive comparison on numbers. Let's assume we saw around 10% of Bloodstained (it can be less). Bloodstained has 50 weapons as of now. SOTN on it's fullest has 69. 10% of Bloodstained has 19 weapons less than the whole SOTN. Bloodstained already has more Gear than Dawn of Sorrow and we don't know the whole game yet (39 for Bloodstained, 30 for Dawn of Sorrow). Dawn of Sorrow had 12 locations, Bloodstained seems to have at least 10 as of now. 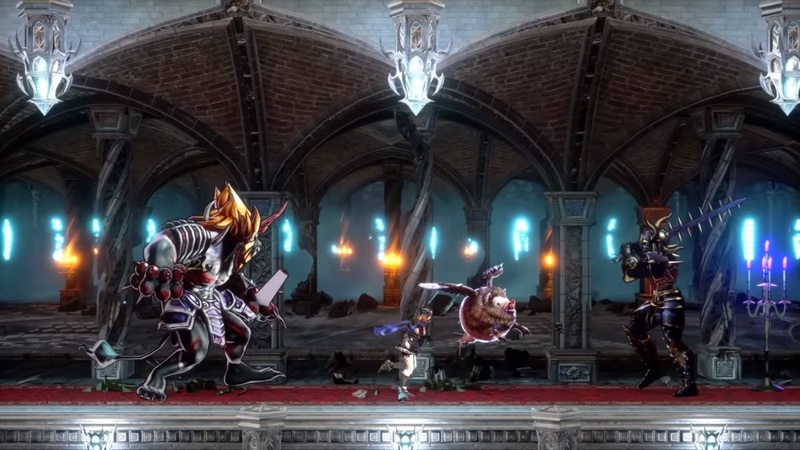 All that shows that Bloodstained will be a gigantic game, it doesn't matter where you look at. Talking specifically about regions / locations though, it is harder to speculate, because we don't know yet, considering all demos and videos, what is a location and what isn't. Some data may be incorrect (like the golden staircases region that can be just some connection to other place). My data on that is based on videos that we saw. Some of these areas may be the same, but i believe they are all different one another. Anyways, this was just a commentary / interesting data i realized while looking at it. It's probably most accurate to guess that the current known number of Powers/Shards is closest to 10%, likely due to Shard-crafting (through Alchemy) being an option for obtaining a number of the game's Shards. Since we still don't know the total number of enemies in the game, I think it's safe to say that we'll be seeing a lot of different Shard powers. Some of the swords in SOTN were kind of boring and unnecessary. Anyone agree? Be careful with assumptions and hype. That way leads to disappointment. For example, consider that gear has to be split between types and there's bound to be less-than-useful gear and items in there. But I will admit that those numbers look reasonable and even with a more cynical assumption of 30%, Bloodstained would look like a pretty sizeful game. Something you can really sink your (elongated) teeth in, rather than beat in an evening. "Hope is only the first step down the road to disappointment." I remember when some of us spoiled ourselves with the "Forbidden post". I was a little dissapointed with the size of the bestiary looking somewhat small for IGA's Biggest castle. 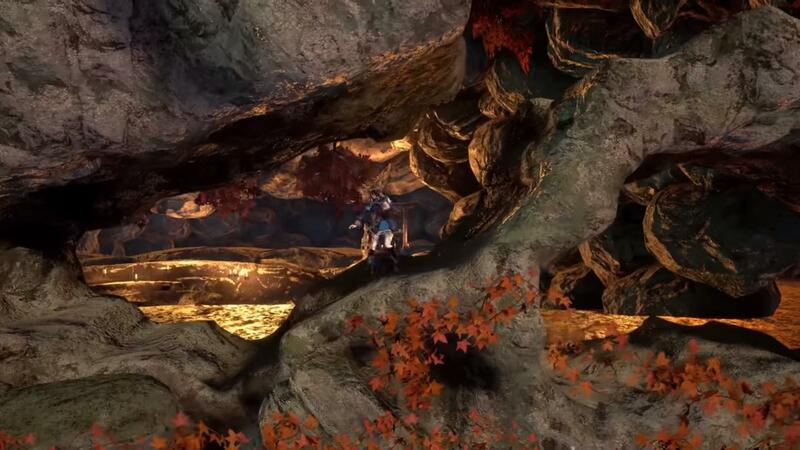 I certainly don't expect the bestiary to be bigger than 120 Enemies, but i am looking forward to see how the team works the enemy placement to make the areas feel like something new. Shards? with shard crafting it is hard to imagine the number of shards being smaller than the number of monsters even if not all of them drop shards. can't wait to max all of them. As for the levels. we haven't seen all of them but i really want to see the water/ice level. all the bosses of curse of the moon but bathin and focalor have been revealed for Rotn and i remember a screenshot of the developers at work. A mean looking fish (bet you its name is going to be forneus) can be seen in one of the screens. I NEED MY FRIKIN ICE LEVEL. lets not get to excited. 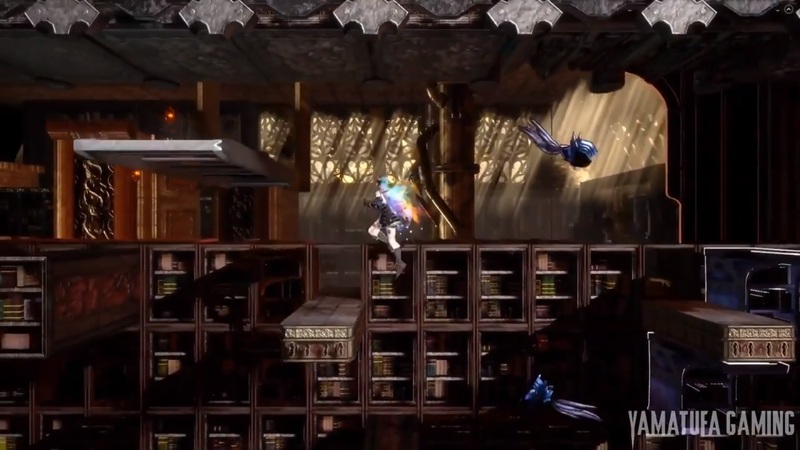 Bloodstained is a metroidvania and those can be finished pretty fast. i WOULD ABSOLUTELY LOVE to be mistaken with this one. Now that I think of it......since the main inspiration for this is SotN, mayhaps we'll have some multiple endings that depend on really obscure items/shards/costume worn at certain intervals? That last one's going to be me, I'm sure. Judging by this, it seems like you've missed out on Aria of Sorrow. If so, check it out! You won't be disappointed. I remember the "forbidden post" too, but we need to remind ourselves that the datamining was based on the 2018 Demo, a slice of the game that ended up carrying some data of it along with it. Names and terms changed, other things were added and i'm sure the game wasn't yet finished in 2018. It is probably that the data we saw wasn't the whole thing. 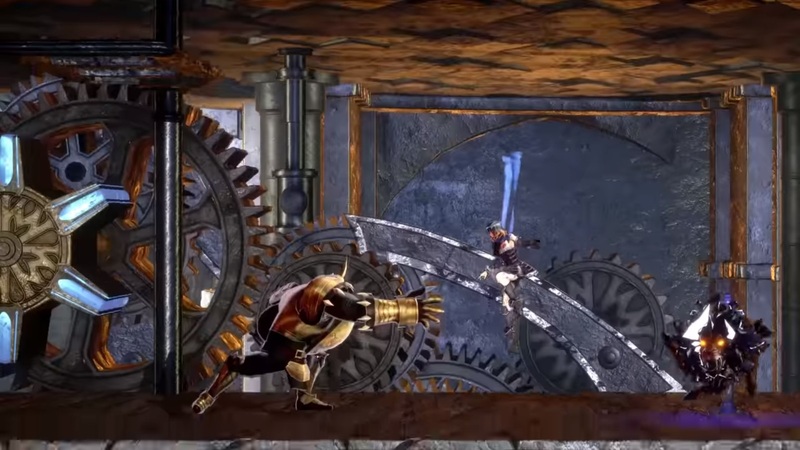 Bloodstained will have multiple endings, if i'm not crazy that was even advertised already. I don't know HOW they will do that, but we do have some hints. Johannes, Dominique and Gebel, all three, has said that absorbing shards in massive quantitites can mean her downfall. 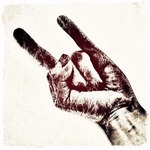 As Gebel has said "Along the way, you'II have no choice but to absorb shards and avail yourself of the powers of hell. If you can still claim to be human at the end of it all, then perhaps i might be more inclined to listen". So, i'm sure thatg the key to multiple endings in the game are the Shards. How that will work, we don't know yet. I played pretty much all Castlevanias. I mentioned Dawn of Sorrow because Dawn has an updated version of Soul Dominance, that started on Aria. Bloodstained inherited such updates (like upgrading powers by obtaining more of the same) that's why i mentioned it. And yes, Aria of Sorrow is a great game, totally agree with you. i actually consider it better than Dawn. Weapons: Less than 100 weapons. Gear: Less than 130 pieces of equipment. Shards: Less than 130 abilites. Items: More than 200 items including: loot, cooking ingredients, consumables and key items. Techniques: At least 20 weapon techs. Enemies: Between 120-160+ enemies including bosses. Bosses: At least 20 bosses including optional super hard bosses. Game size (Biggest IGA’s Castle, almost 2x as SotN): At least 20 locations, including: optional areas, and outside of the castle areas like Galleon Minerva and Arvantville. Rooms: The most? 1650+ rooms. The least? 1400+ rooms. - I think the Mechanical Library, the Clock Tower and the Tower of the Twin Dragons are connected areas; both the library and the tower have gears and clockwork like-contraptions. - Probably the golden staircases area are connected with the Church of Dian Cecht because they share almost the same architecture, or perhaps is a section that belongs to the same castle area. 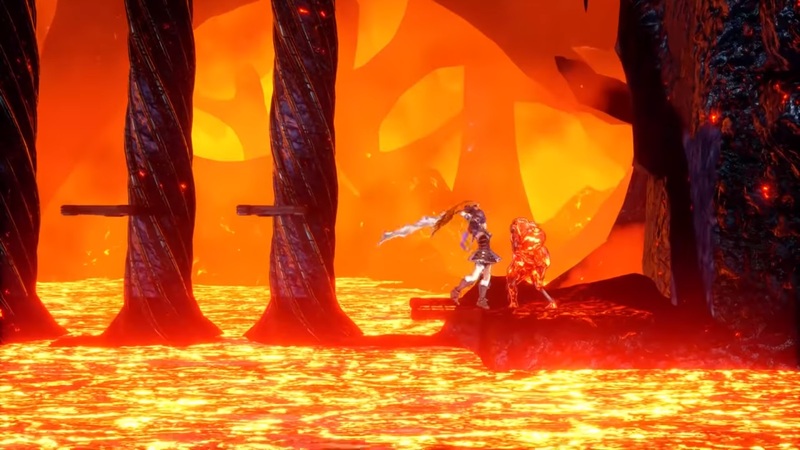 - My bet is that the japanese area and the lava cavern are connected. I'm also betting on this. I've liked to theorize that the "Japanese" area is inspired by Yomotsuhirasaka, after all. All the information that was on that post and more was gathered and hidden. That being said I've had plenty of time to pour into staring at it, and there was a lot of information to be gained by doing so. Just throwing that out there. Plenty was clearly scrubbed from the files beforehand though. Anywho, taking a look at the some of the recent videos of the current build, and paying attention at map completion percentages every time the menu comes up, it shows that the game will be about 1700 rooms at 100% completion. On that note, and the reason I started with the topic of data-mined info, one weird little nugget that was mined up (that actually isn't a spoiler and has been freely discussed several times in the presence of Angel and company on the discord so don't worry) was the full map grid size. Like, when you look at the map, how big the grid actually is that the map is on. RotN's map grid is 100 vertical by 200 horizontal squares. For comparison, SotN was 50x60, and the following games were all smaller. Could the 100x200 grid be a placeholder? Absolutely. But if not the game is either psychotically spaced out or it's larger than the safe assumptions would lead one to think. I'll spare the details (though will dig up all the information I posted in the discord if somebody really wants to see it,) but through the power of napkin math, I went off and hand-counted both the grid size, and the amount of actually utilized squares for the castle map in every single igavania. I then came up with a percentage of "utilized map" for every single game. Theeeen I averaged it all out to try to come up with a small handful of reasonable game size guesses for RotN. One of those numbers was mid-3000's which, is about double of the "about 1700 rooms" guess we're currently at with the current build. Basically that would lead one to assume a potential 200% map completion for the game, which would be rad. It's an assumption based off an assumption based off an assumption based off of a random grid found in the files that might very well be a placeholder. But it's still something to consider nonetheless. mourningxsun Those assumptions don't tend to be accurate, but tend to show a "direction". The simple fact that the game is 2.5D is enough for the grid to be bigger than the others. Also the map size, when talking 3d, is something different to 2d. 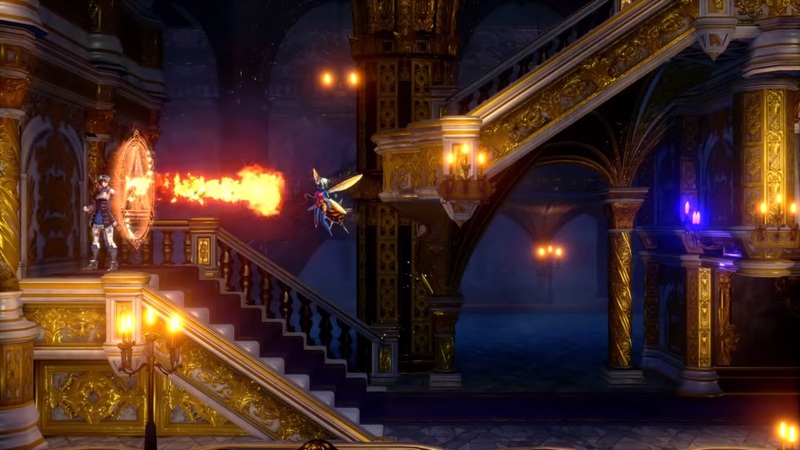 The new demo released to the press, that shows the Tower of the Twin Dragons, you can see when the player is going up the tower, that the map "snaps around", because the player is walking in circles around the tower, than going inside and out, something that can't be covered by a 2d map. I payed attention and it seems the map keeps going from side to side to some completed areas because the map isn't 3d. 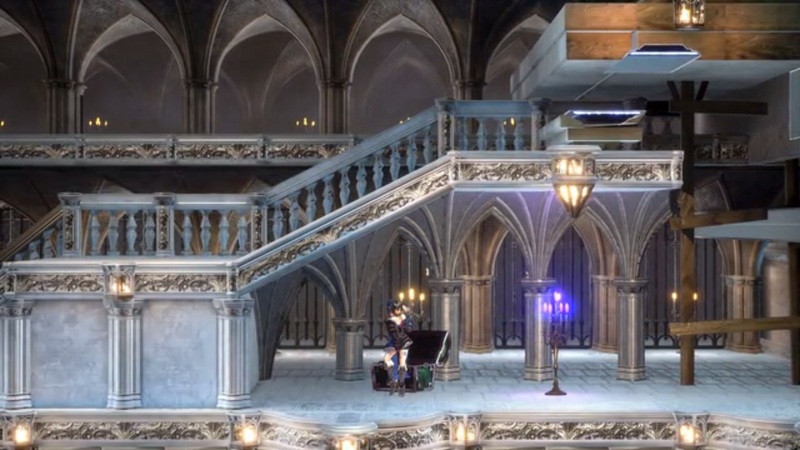 That new demo also shows that the rooms are overall bigger and more spaced out than the other Igavania games, because thart gives a much better depth in 3d, which also makes things larger. That's a bit of an odd way to look at it. Presentation doesn't really change anything in a practical sense. Spiraling up the tower and popping in and out of it makes for a bit of a dizzying spectacle, but stare at the map the whole time, and you'll just see a big rectangle that's four "squares" wide. It's nothing remarkably different from what we've been used to. Go back to the ship at the start and you see the condensed level design in action, something we'll be seeing for the majority of our time in the game. We are in a castle after all. Personally I haven't really gotten the vibe that the rooms are more "spaced out" at all. They're a bit bigger in terms of how much space Miriam takes up on the screen I suppose, but a grid square is a grid square no matter the size. 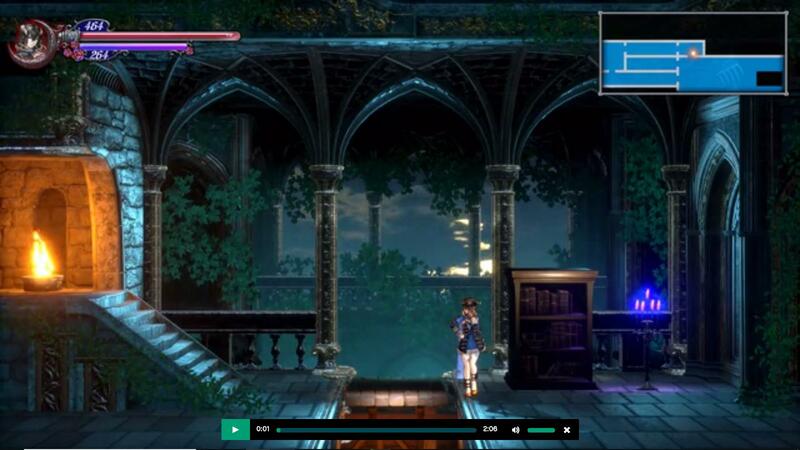 Assumptions aside, watching the gameplay of the first video posted in this thread bloodstained.forums.net/thread/3949/newest-build-footage-egx-london shows a map completion percentage of exactly 1% after filling up 17 map squares. Granted the percentages are rounded to the tenth so there will be slight discrepancies, but if the build has the completed game in it, then indisputably we will have a game size of about 1700 squares/rooms/whatever you want to call them. Not a lot of mystery in terms of game size there, which is why it's far more interesting to discuss the possibility of a second castle or even a surprise location that doesn't count towards the map like the Chaos Realm in AoS. Just going off of what has been revealed publicly without bringing datamined info into things beyond the map grid? It's certainly possible that we could be looking at a map that will be going above 100%. I've been saying that if Iga *really* wanted to pull a fast one we'd have a castle A, B, and C. But that's beyond a pipe dream. That aside I'll be thrilled with 1700 unique rooms without any inverted or reskinned nonsense going on. Assuming that there will be more than 1700 rooms is not unreasonable though, as there's *always* been a "but wait there's more!" moment in Iga's games. Sometimes it was small like fighting Dracula in HoD. Then there was the time it was literally all of Dracula's Castle as with OoE. Dunno what we'll get personally, and I can say that there is literally nothing in the dozens of pages of datamined in-game info that actually points to a second castle. But I say we wait and see nonetheless.